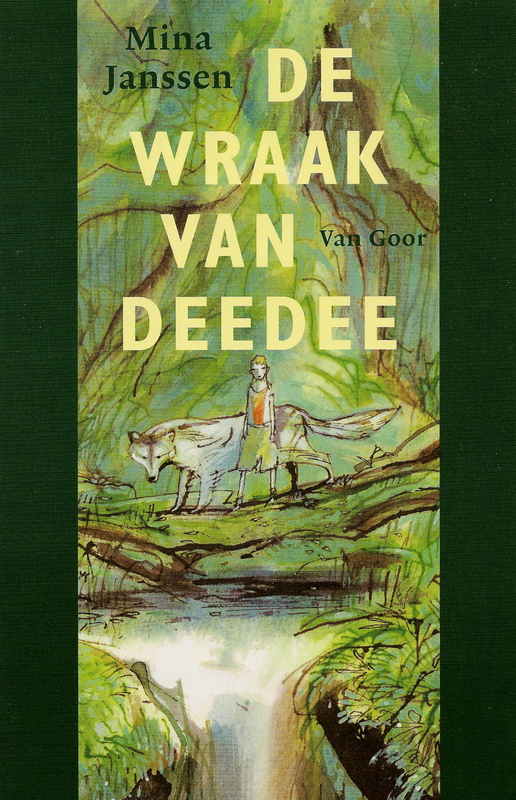 Deedee’s Revenge (De wraak van Deedee) was my debut as a children’s book writer. It was published in 2005. I was honored when famous Dutch illustrator Philip Hopman agreed to do the cover illustration. Philip also made beautiful pen and ink vignettes at the beginning of each chapter in the original hardcover. Deedee’s Revenge is the story of ten-year old Deedee and her ghastly, older brother Matthias. Matthias and his friend Peter needle Deedee day-in-day-out. When the boys dare her to a race on the military assault course, a course that is strictly off-limits for them, she accepts the challenge, her heart set on learning them a lesson. But at the assault course the boys take their pestering too far and lock her up. Deedee swears she’ll get even. With the help of her old neighbor Uncle Ton and his border collie Teddie, she sets out to free everyone from Matthias’ harassments. Will she succeed in getting her brother to tone down? And who are Vrassos, Aikja and Kreis? Are they on her side or will they also turn against her? Deedee shoved the last bite of her sandwich in her mouth. She chewed and counted, chewed and counted. Eight, nine, ten. With an audible glock she swallowed her bread. To buy the Dutch e-version of Deedee’s Revenge: De wraak van Deedee.